Joshua - CAYK Marketing Inc. Many websites today are created so that clients can update and change them as they need. A tweak to the hours here; a new paragraph under the about page there. When it comes to working with technology, things inevitably can glitch, and that’s when you’ll need Josh. Josh has been supporting online design and has been a part of our development team for over eight years. 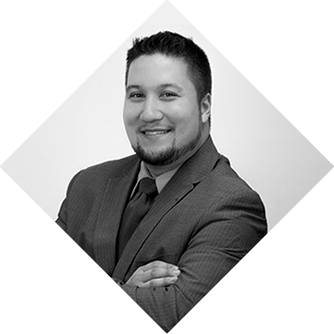 While he was originally brought on as a technical advisor and on-demand support expert, Josh has grown within our company to vice president. Nearly all of our clients have worked with Josh at one time or another. During production, he strives to progress projects smoothly. For marketing clients, Josh handles much of the long-term maintenance that comes with owning a website and marketing a business. The entire CAYK team relies on Josh to lend his focus, clear communication, technical abilities, and leadership to every open project. Whether you’re new to CAYK or a long-time client, Josh will be here to make sure you get the production and technical support you need.